Senate President Bukola Saraki has described the suspension of the Chief Justice of Nigeria, Hon. 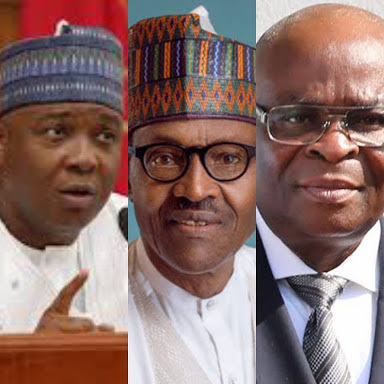 Justice Walter Onoghen by President Muhammadu Buhari, as a coup against democracy and a deliberate attempt to endanger our hard-won democracy. Saraki, in a statement personally signed by him, stated that the suspension was another act of desperation by President Buhari. 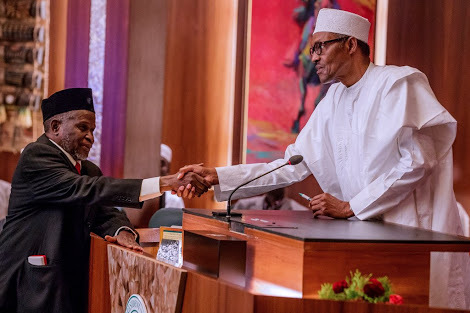 He noted that by the suspension of the CJN, Buhari has acted outside the provision of the constitution, has exercised the powers which he does not have and that this action amounted to gross misconduct. “By unilaterally suspending the CJN without following the provision of the constitution, President Buhari has taken an action which amounted to gross misconduct. He has simply sent a dangerous signal to the entire world that Nigeria is no longer a democratic nation and that we have returned to the old, jaded era of military dictatorship. “At this point, all democratic institutions in the country, the international community and democrats across the world should rise against this blatant act of impunity. We should jointly condemn this retrogressive, uncivilized and despotic measure,” Saraki stated. The senate president called on Buhari to immediately reverse this decision and allow the due process of law to take its natural course in determining the guilt or otherwise as well as the suitability of Hon. Justice Onnoghen to continue as the head of the nation’s judiciary.